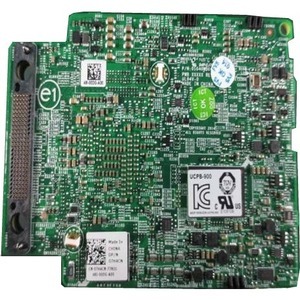 The PowerEdge RAID Controller (PERC) H730P, with eight internal ports, delivers two PowerPC processor cores and a 72-bit DDR3 interface that drives 2GB non-volatile cache memory. Deploy the PERC H730P in hard-drive-based server environments for significant performance gains. To implement hybrid server platforms based on solid-state storage, these next-generation PERCs exploit the potential of solid state drives (SSDs) for unsurpassed performance and enterprise-class reliability. As storage demands expand and processing loads grow, it becomes increasingly more difficult for administrators to achieve maximum performance from their applications. 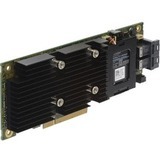 The newest line of Dell PowerEdge RAID Controller cards, built on the LSI® SAS 3108 dual-core PowerPC® RAID-on- Chip (ROC), offer unmatched I/O performance for database applications and streaming digital media environments.